As Peter Chanel, the pro-martyr of Oceania was dying he said "Death is good for me" and this week on the Southern border, in this parish begun by the Marists in 1996 we will hear a similar refrain on this our patronal feast, from the young Felipe de Jesus, our patron and a migrant, the Proto- Martyr of Mexico, one of the Nagasaki martyrs of February the 5th, 1597. He was a Franciscan seminarian returning from Manilla to Mexico to be ordained and was shipwrecked and joined Pablo Miki and companions. He died repeating over and over again the name of "Jesus"
"The night is slipping by so quickly. Tomorrow I will die executed on the cross, but I am not afraid." Here in the Rio Grande Valley the border "line in the sand" has long since traveled north. This is not Mexico now but the United States, or better seemingly a separate corridor between the two. Life has always been different in the "Valley", in this Marist Parish too. In the first years it was like a squatter settlement, with roads to be built, lighting and water, sewage too and the organization of the people. 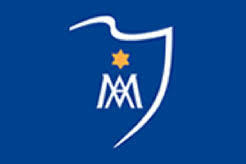 The Marists were at the spearhead. That initial push has changed but not gone. Father Colin's refrain "The Law was made by Man. If I can't save with the law I will try to save without it." (A Founder Speaks 163,2 (12)) has always been and continues to be the dynamic here as people seek us out where they feel doors have been closed elsewhere by church rules. We are like a "Spiritual Flea Market' where like any flea market everything is open-ended and there is always some possibility of service, solutions and assistance. 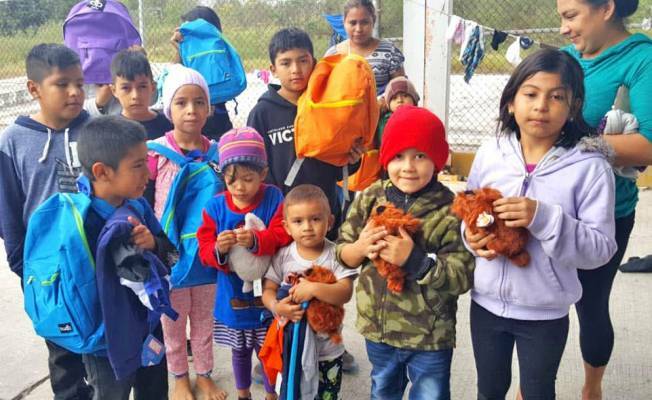 But recent events on the border together with the San Felipe de Jesus parish's' openness to the stranger has also seen us assisting and receiving hundreds of Central American minors every day except Saturday. They come from in total, five refuge centers for a little bit of prayer, some non-institutional food and fresh air and a relaxing space. Besides and what with Asylum seekers on the Mexican side of the bridges. who against international and US law are prohibited from entering the USA, we have some brave, passionate and generous women who cross the border with food, clothing, blankets and other items for them who, penniless, are at the mercy of the elements and Mexican police . These valiant women also take and share with various small poor villages along the river on the Mexican side on the road to Reynoso y Monterey. They are known and respected by the gang people who control this highway. Meanwhile our volunteers serve our food bank whose numbers increase and as well the separate assistance monthly program to many "third agers" over 60 who run out of cash long before the month is over. As a parish we have no arguments There are no fights here. We are all in it together. The kids are enthusiasts, the youth a quiet force and the community, many of whom are migrants, faith-filled and involved, each in their own way. Young detainees at prayer, hoping for a new life in the U.S. Right in the thick of it! Great work. Right in the thick of it! Great work. Justin.